I'm honored and delighted that you're here. I may not be a yoga teacher myself but I am definitely a yoga student - AND I love to harp and sing for yoga classes. I know that yoga is powerful, healing, and life-changing, and I am grateful to you for sharing what you know and love. I have three gifts for you. Yours for FREE, my fellow teacher! This is a short, idea-packed guide and also includes the compass points that orient my own teaching. I hope you enjoy it and that it sparks some new ideas for your teaching. A Mermaid Oracle Reading - at a special savings! 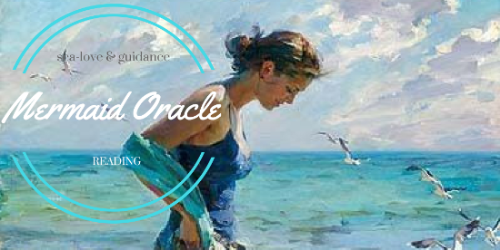 Would you like to tap into your own infinite Sea of Wisdom to receive sparkling-clear guidance and practical help as you chart your course? If YES, I invite you to join me for a fun, inspiring, and uplifting one-on-one Mermaid Oracle Reading. Once you reserve your spot, I get in touch personally to schedule our session. You bring 1-3 questions or issues about which you’d like some guidance. I bring my intuition to help you tap into YOUR intuition – which always offers wisdom and guidance that is perfect for you right now. I also bring my ability to clear and flow energy and my knack for asking questions that unlock your power and radiance. We meet virtually for an hour in a private chat room. We clear your energy and get you radiating your MER-beauty. We take your three questions or issues one at a time, playing with a Mermaid Oracle that helps you dive deep into your true feelings and wisdom. We distill the essence of the reading into clear, actionable points that serve as your compass going forwards. We finish with a powerful MER-blessing. You receive a recording of our session and a note from me. You splish-splash into your next chapter feeling clear, happy, and eager! Doesn't that sound fun and delicious? ordinarily $197, but a special savings for Amy's listeners! Invitation to a FREE, virtual retreat on MYTHIC LOVE! Come get your heart beating a little faster with this juicy, virtual gathering! We'll play with Irish language endearments, we'll experience a passionate wooing poem from the middle ages, and we'll find out what happens when a man falls in love with a woman he sees in a dream. The point of all of this? To wake up our own passion, playfulness, and sense of possibilities! To sign up, just click HERE. And if you can't make it live, no problem: I'll be sending out the recording and resource sheet to everyone who registers. Can't wait to be with you!